The Peekskill Education Foundation would value your assistance in providing resources for achievement and innovation to support, inspire, and nourish greatness in all students in the Peekskill City School District. 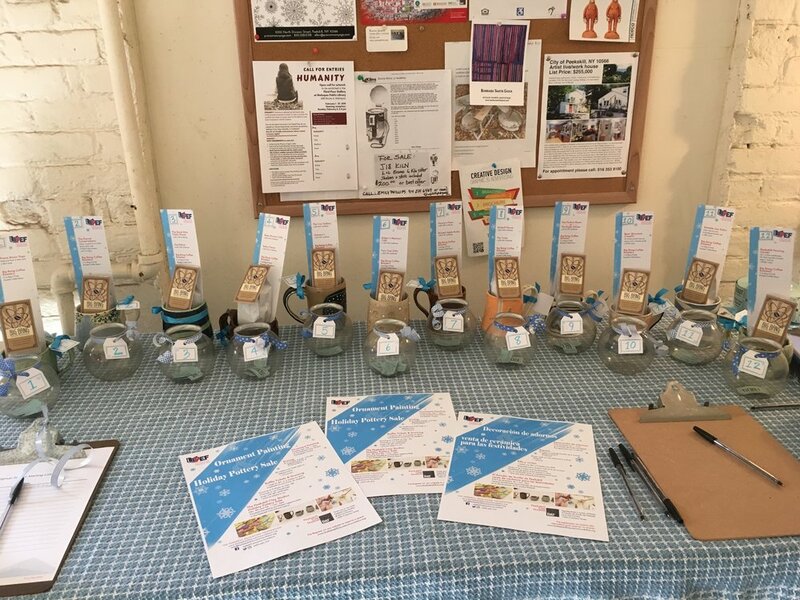 During the year, we hold community fundraising events, such as our Holiday Ornament Painting in partnership with The Peekskill Clay Studios during their Pottery Sale in December, and are currently organizing a Wine Tasting Event for the spring. If you’d like to volunteer to help with the planning and implementation of the these events, email us at hello@thepeekskilleducationfoundation.org. 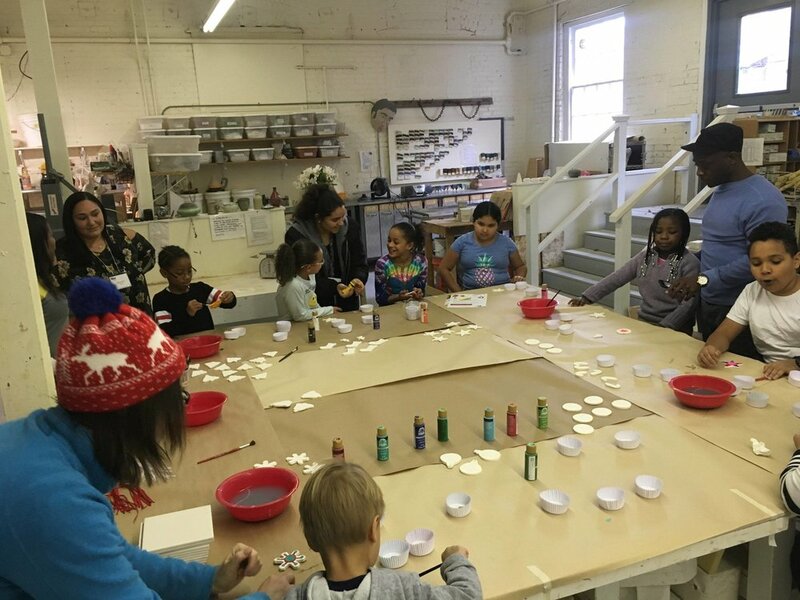 On December 9th, 2018 the PEF held an Ornament Painting Event and Pottery Sale hosted by The Peekskill Clay Studios. Families turned out to paint a ceramic holiday ornament, share some snacks and participate in the raffle. Prizes were donated by local community businesses, and each one came with a hand crafted mug donated by the skilled ceramicists of The Peekskill Clay Studios. Established to honor former Peekskill City School District Superintendent, Judith Johnson, for her efforts to improve education in the Peekskill schools and to encourage students to pursue a college education. The award is also a recognition of the recipients academic achievements and their leadership skills. The scholarship is given to a graduating senior of the Peekskill High School who is enrolled at a college of their choosing. The scholarship winner is the first in their family to attend college. Working in partnership with the Peekskill City School District, the NAACP Black Diamonds program, and the My Brother’s Keeper (MBK) Programs to obtain funding for the furtherance of the program whose goal is to improve outcomes for young men of color. The NAACP's Black Diamonds program provides great opportunity for students to be mentored; engage with guest speakers; develop and lead uplifting presentations; visit businesses, universities, and colleges to inspire them to become successful adults. It is an invaluable experience. Currently in the planning phase, this fundraising event will be open to the public through event ticket sales. We are looking forward to providing connection for community members while having a fun evening supporting our the students of our district.